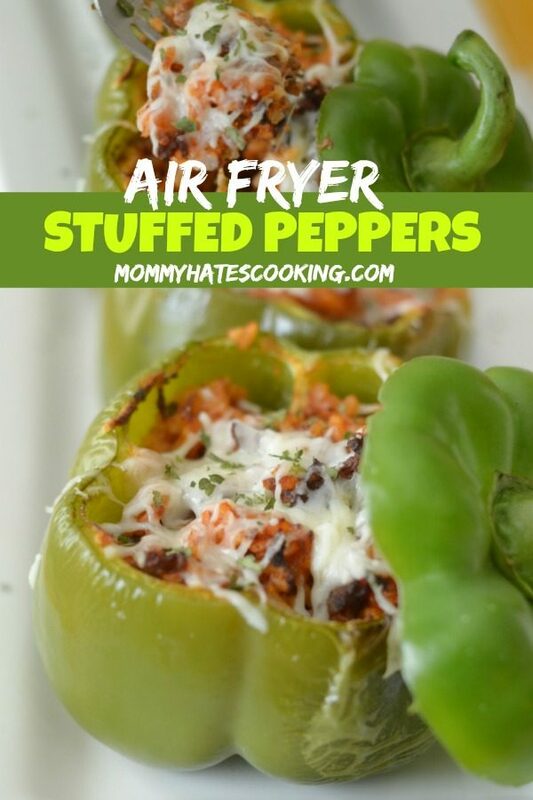 Make a delicious dinner in the Air Fryer with Air Fryer Stuffed Peppers! 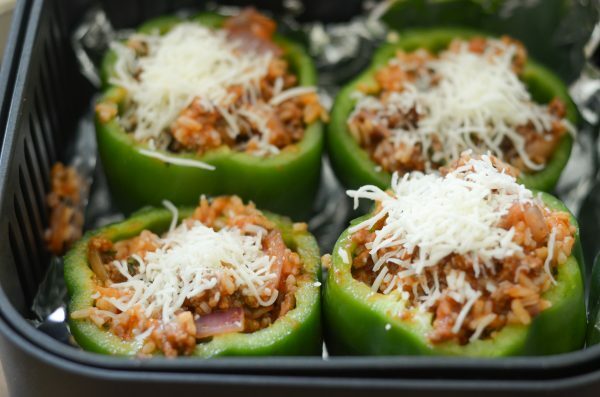 Stuffed Peppers are a favorite in our household, especially during the summer. Why? Because our garden is full of fresh bell peppers, perfect for making stuffed peppers. 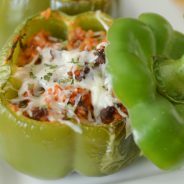 If you prefer to make these in the oven, be sure to check out this post on How to Make Stuffed Peppers. 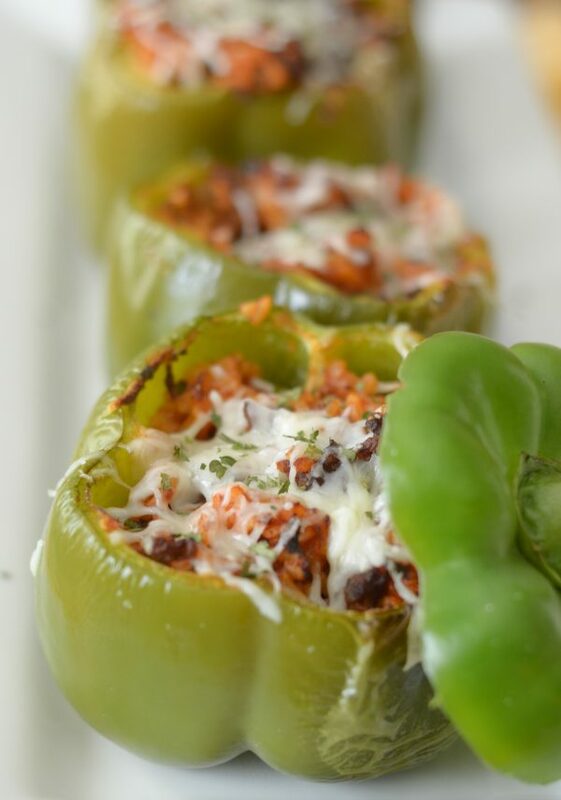 They are even easier to make when you make these Air Fryer Stuffed Peppers in minutes in the air fryer. During the summer months, I try to utilize as many meals as possible with fresh produce, do you? Our garden is just starting to produce some tasty produce, which led me to these Air Fryer Stuffed Peppers. We have plenty of foods coming up and I’m anxious for more to come in as we head into July and August. Hopefully, we can keep it from drying out. That’s the downside of Oklahoma summers, it gets so HOT, so quickly sometimes it just scorches the veggies! This summer has been full for sure. We are now into a month in our summer with just about 8 weeks left to go. Honestly, it’s going by so quickly. We’ve had so many activities. It’s usually in July when things slow down for us, which is nice because then we have about a month to recover before school starts back up. This year we are doing a staycation in July, so I’m still trying to figure out what we are going to do; however, staying at home and just swimming and relaxing it sounding like the best option. Do you ever have times when as much as you’d love to go travel, you just want to stay home? That’s basically how I feel right now. I’d love to go to a beach…but honestly, I want to stay home and relax without having to do anything. Although, even if we stay home I’m sure we will come up with a ton of projects to do because that’s just how we are! We can’t just sit still, I wish we could sometimes but it seems impossible. Now, maybe being home will allow us some time to really work in the garden too. I’m sure by the time our vacation rolls around we’ll have plenty growing, which means grilling all week long and lots of fresh veggies. 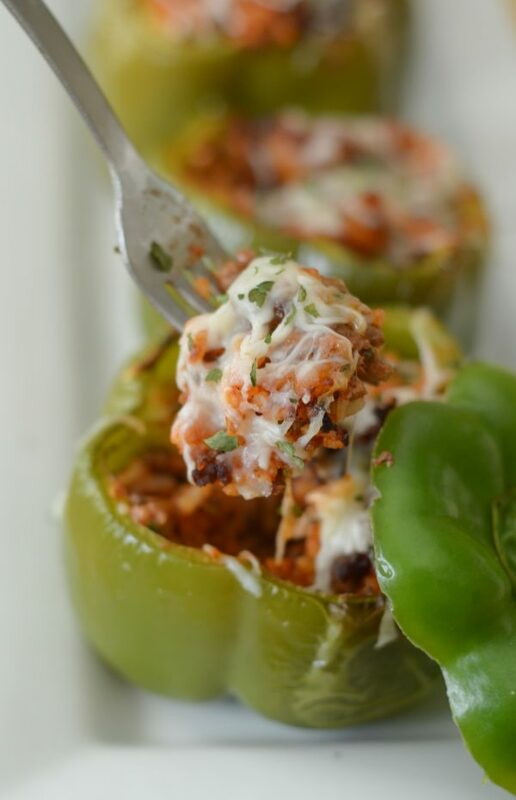 Let’s get to these Air Fryer Stuffed Peppers! 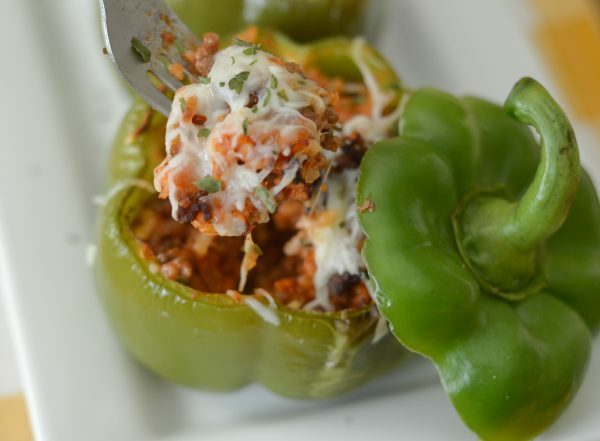 What do you need to make Air Fryer Stuffed Peppers? 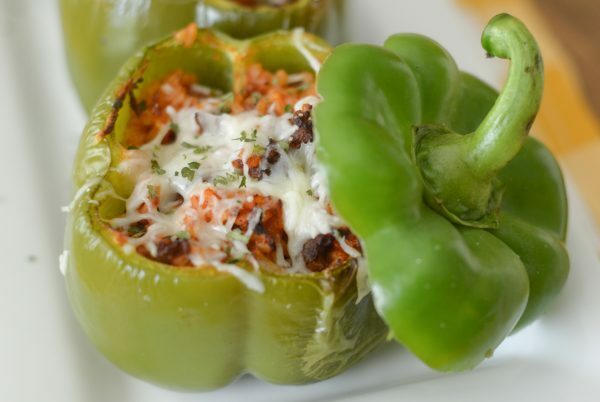 Now, let’s get right to making these Air Fryer Stuffed Peppers! Warm up a medium sized skillet with the ground beef and cook until well done. Drain the beef and return to the pan. Add in the olive oil, green onion, parsley, sage, and salt. Mix this well. Add in the cooked rice and marinara, mix well. Cut the top off of each pepper and clean the seeds out. Cook for 10 minutes at 355*, carefully open and add cheese. Cook for an additional 5 minutes or until peppers are slightly soft and cheese is melted. I just bought an air fryer and I can’t wait to make these! The only thing I’ve made so far is chicken wings and chicken thighs. 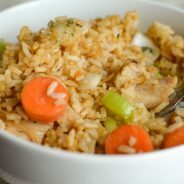 These look so good I must try them! Oh get ready, you are gonna fall in love with all the recipes you can make in it! I tried the peppers an they were not cooked enough at10so I put them back in for another 5an that did it .Maybe thar happened because the peppers were big . Wow! That’s amazing. 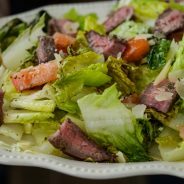 I haven’t tried making such complex recipes in an air fryer. Can’t wait to try it!